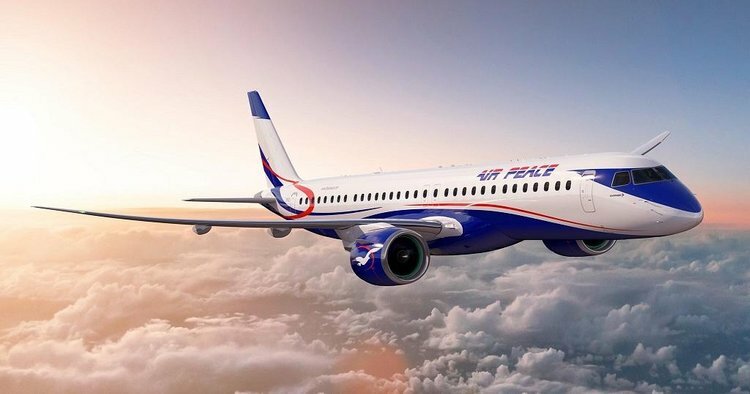 Embraer which is an airline manufacturer based in Brazil has signed a $2.1 billion deal for the delivery of 10 jets to one of Nigeria biggest airline operators "Air Peace" . The deal was announced during the Embraer’s Africa Airline Business Seminar, in Mauritius. The order would also be included in Embraer’s 2019 second-quarter backlog according to the company. According to the airline chief Mr Allen Onyema, the deal would make the airline the first E2 operator in Africa, “We already have the ERJ145s in our fleet, so we understand the high standards of Embraer products. Air Peace been one of Nigeria biggest airline operators was established in 2013 with 23 planes.